With how amazingly popular Sailor Moon wound up becoming, it’s easy to forget that the series was not the first to have explored… well… practically any of the concepts that made it famous. 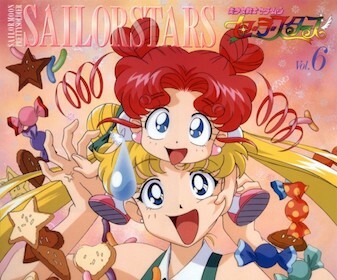 Not to downplay the achievements Ms. Takeuchi’s genre-defining classic, of course, but nearly everything that we know Sailor Moon for nowadays had already been done in other series before it. Many of the so-called “tropes” that 21st century fans would readily attribute to Sailor Moon were in fact already well-established before our favorite sailor-suited warriors were even conceived. While Usagi may have made the idea of a “magical compact” famous, the great grandmother of magical girls is the one who made it a staple in the genre. Today we’re going to take a look back to the earliest days of the “magical girl” genre and tell the story of one of its earliest pioneers! It’s always hard for me to find the proper way to broach the subject of Sailor Moon not being the first to do something. I don’t mean it in a negative way that the series pretty much stole many basic concepts from a live action show, or that Tuxedo Mask is a combination of several stolen characters. That’s just how art works — we’re always building on the work of those who came before us. So I guess what I’m trying to say is that while Sailor Moon may not have been the first to do many of the things that we know and love about the series, it did an amazing job bringing all of these different ideas together to create something novel and exciting. 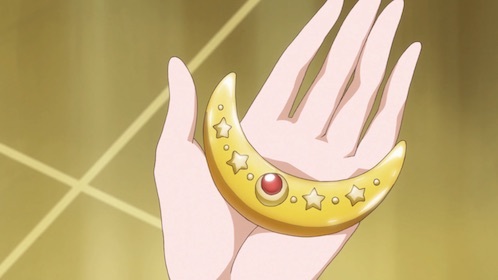 Going back to our topic at hand, much like Sailor Moon’s poorly-named Moon Stick, the idea of a magical compact used to transform an “average girl” has been a staple of the genre since its very inception. And why shouldn’t it be? As anyone who has seen the “before and after” make up pictures that seem to always be flooding social media can attest, a makeup compact is truly transformative from the point of view of a young girl, in both a figurative and literal sense. 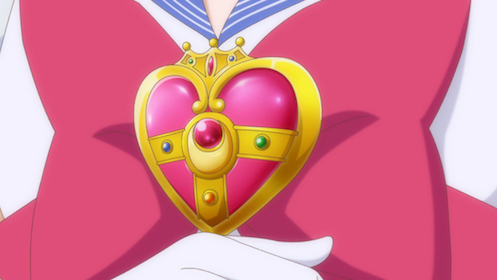 So who was the first magical girl to have her very own magical compact? Well, it’s a bit tough to say that something is definitively the “first” of anything without being able to prove that absolutely no one else ever did it before — basically like proving a negative, like that ghosts don’t exist.2 There’s always a chance there was an obscure manga out there that no one’s ever heard of. The Secrets of Akkochan… and her compact! But I’m getting sidetracked here here, going into which series came first and all that. We’re talking about magical compacts! Though The Secrets of Akko-chan lacks many of what we would today consider essential parts of the magical girl genre, such as the battles, transformations, flashy attacks, and more, it’s important to keep in mind that the genre was still taking shape at that time. As I mentioned earlier, each successive series built onto the last, resulting in what we recognize as the magical girl genre today. Though the concept started off as rather mundane, magical compacts (and other makeup items!) have been a basic component of the magical girl genre ever since. 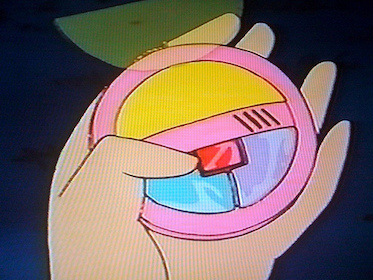 Other noteworthy compacts include: the Magic Compact in Creamy Mami, the Dream Tonpact in Tonde Burin,9, the Mysterious Compact in the tokusatsu show Magical Girl Chukana Ipanema, and many many more. Personally, I find it really interesting to go back and look at the evolution of the “magical girl” genre, especially considering how all the little components that make Sailor Moon what it is were actually developed separately over a long period time — sometimes over decades, even! 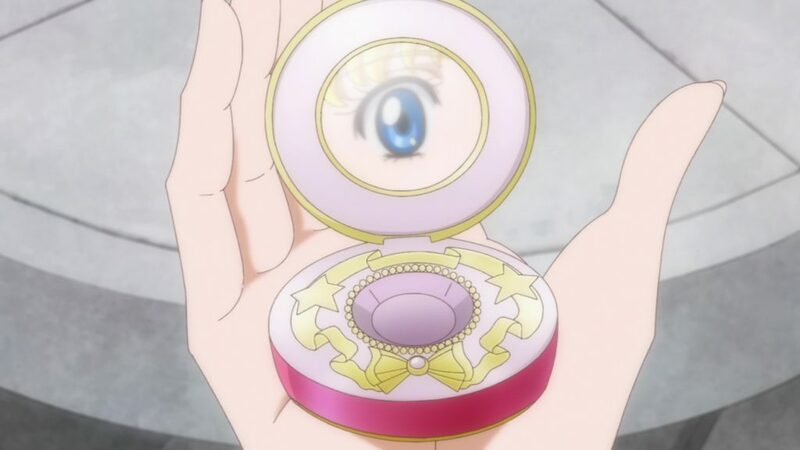 Since I have your attention and we’re already on the topic: what’s your favorite Sailor Moon or Sailor ChibiMoon compact? As for me, it’d have to be the Crystal Star, hands down. I know it’s overdone, but I just love the color scheme, I love the simple design, and I love that you could actually believe it’s a compact a 14 year old girl uses. ← What is Princess Kakyuu and the Starlights’ Connection to the Moon? Well, I’ve got a cosmic heart compact tattoo, so would have to go with that one! My favorite compact is the Cosmic Heart Compact. I love the shape of the heart reminding of the Spiral Heart Moon Rod. Gotta say, that’s definitely a popular one! As I a kid I would have said the Cosmic Heart or Crystal Star because then I re-got into Sailor Moon it’s what I saw her using at the time. Hello, childhood! I grew up watch a dub of the 90s remake of Akko-chan, together with other magical girls like Sailor Moon, Cardcaptor Sakura. Ojamajo Doremi and Tonde Buurin, so I’m familiar with her character and powers. Akko-chan’s manga was released earlier than Sally’s anime or manga, so technically she was first! And therefore, yes, she started the transformation compact trend. The story revolves about her taking care of a mirror she received as a little girl and when it accidentally breaks one day she buries it on her backyard, the spirit of the mirror, grateful, offers her a compact with a magical mirror to use to transform into anything she wants to, as she uses it to help others. So, she was first to feature a compact, transformation, magical phrases, a pet (having a cat and later a… penguin, though both unrelated to her magical nature) and the need to hide her magical nature (I… honestly forgot what happened if someone found out, but the typical thing in the genre is being stuck transformed or losing her powers… I need to rewatch this). I think that any fan interested on earlier magical girls that has a dub or sub available on their language should give it a watch to check how much have things evolved! And interesting thing about Akko-chan’s manga counterpart, though, is that at least initially she didn’t have a company. She used a normal mirror (like one you’d put on a desk or table) to transform. So Akko-chan came before Sally in the manga, but she was second in anime. However, since her manga version didn’t have a magical compact, that would make the Akko-chan anime to be the first appearance… that I can find. >_> It’s all way too complex. And yes, I totally agree that people should track it down if they can! I watched 2 episodes to write this article and quite enjoyed the show! Creamy Mami is also a lot of fun, but I don’t know if it’s available anywhere in English.